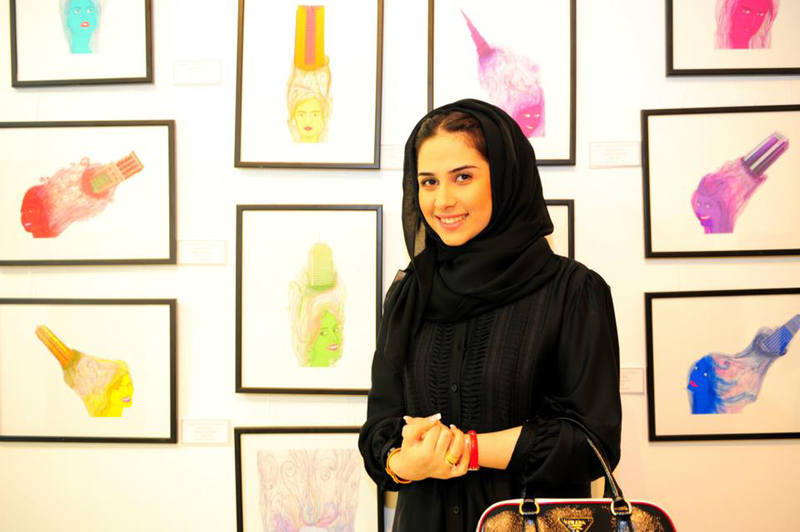 Fatma graduated in 2011 from American University of Sharjah with a degree in Visual Communication Design, after enjoying her GCSE Art very much in school. Alongside her business, she is currently married and a doting mother to her one year old baby boy. A workaholic, she believes she is fashion forward. Prior to digital art work, she would paint, and describes that she views things as patterns, not elements. 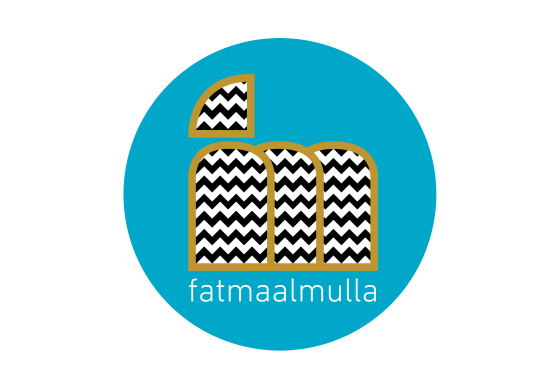 The label FMM stands for Fatma Mohammed Al Mulla, after her own name, and began in May 2012. FMM is a pop-culture label that is upscale, laid back and casual, depicting Emirati culture out of its context. FMM designs clothes including dresses, kaftans, capes, and skirts as well as accessories including phone cases, passport covers, scarves and purses. Fatma explains that after graduating from university, she had two choices. She could either go for a private or a government job in the field of Design. However, she felt that neither let her evolve herself as a designer, and felt that she was cutting herself short. Therefore, she began investing her time in her blog, which later turned into the label FMM. She concentrated on her culture to begin with, but quickly came to a few realisations. She felt that though Arabic was supposed to be her first language, it is in fact English that she was more accustomed to using on a daily basis. 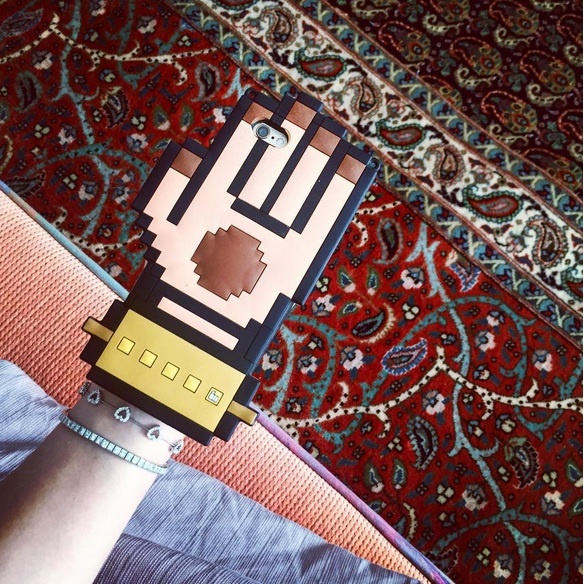 Fatma wanted to explore and improve on her first language and began depicting objects in her designs such as Chanel bags, Rado watches, and even the “Cartier phase” as she called it. However, she accompanied them with satire phrases in Arabic. She wanted to revive Arabic, especially in the young generation. Suddenly these illustrations became more and more popular amongst friends who used them as profile pictures on social media. Their requests for this art to be worn quickly meant that she printed these illustrations on t-shirts which started selling out pretty quickly. 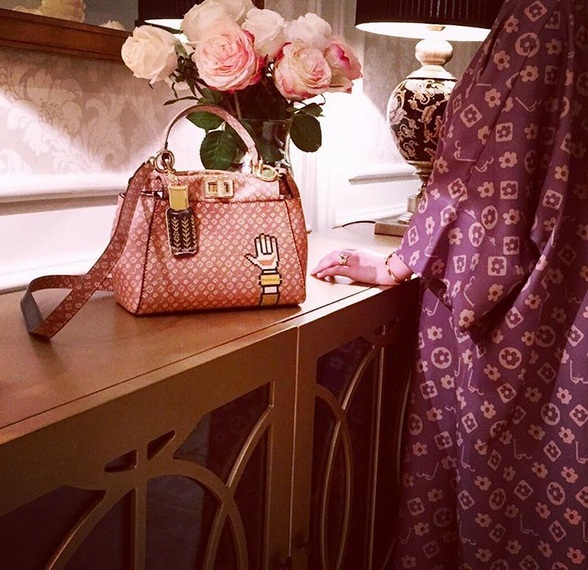 From here, FMM has evolved into a fashion statement for the modern Emirati woman, like no other. Fatma describes her designs as art pieces that are to be worn. Through her digital prints, Fatma depicts her Emirati culture, and her view on this culture that she is so familiar with. 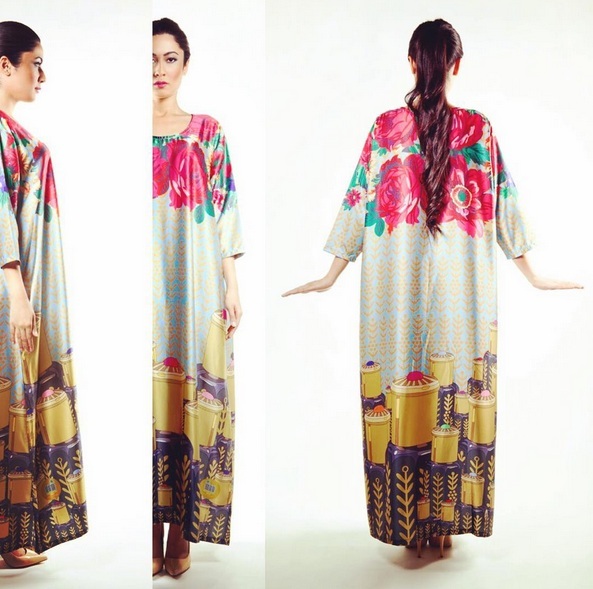 Her designs are for the modern Emirati woman. She understands that the Emirati society has so many other different cultures embedded in them, and she tries to show that in her depictions. 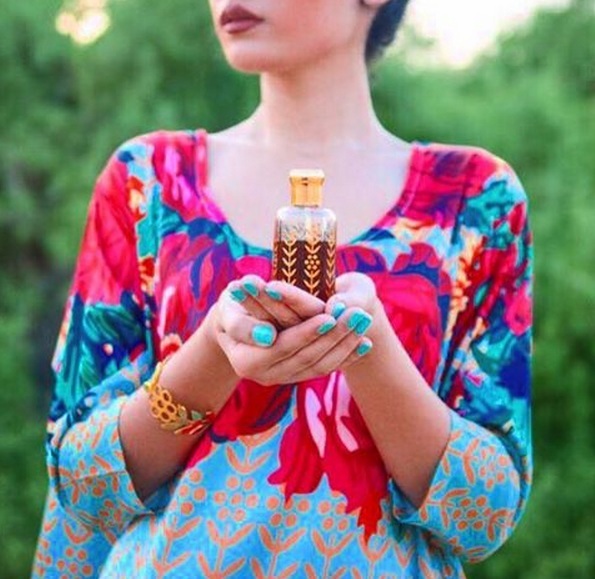 She takes the traditional henna hand or Oud bottles and places them out of their context. Her designs are thought provoking, and intriguing to say the least, and oh so beautiful to look at. The most rewarding part is being recognised and appreciated for Fatma, and she gains immense pleasure from knowing that her work is being welcomed. Being an entrepreneur in the field of design means that she has often come across people stealing her work. She has also faced numerous challenges at the start of her business career such as issues with manufacturers. Fatma has learnt from all these experiences and made her a better business woman because of it. Fatma prints her digital designs on all types of fabric and material that best accommodates to her needs. The materials, including synthetic leather, is sourced and manufactured from different parts of the world, depending on the kind of fabric and how well it absorbs the print. Fatma’s day revolves around being a doting mother and wife as well as a business woman who works whenever she can, attending meetings during naptimes and taking time out to enjoy her son’s childhood. Being a Muslim, her designs reflect the importance of modesty, and she does not believe in revealing outfits. This is very much kept in mind when designing clothes for her pop-culture label. Fatma adds that she does not believe that Islamic fashion should be constricting. She gives the example of Indonesia which has amazing Islamic fashion that is world renown, yet modest. 5 years down the line, Fatma would like to be an established designer, expanding her work and fashion line. Her future ventures include a couture line and launching a new collection between September and October, so keep an eye out for that! 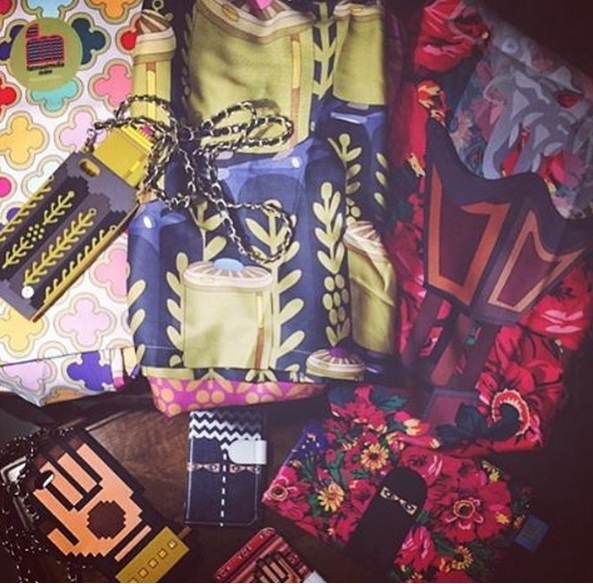 Fatma was kind enough to gift me with a few pieces from the FMM label, including two gorgeous dresses, a “LaishElleVee” purse, and her signature phone cases. It was love at first sight. The quality of the dresses is sublime, and I absolutely adore her label signature on the dress itself, which is an art piece in itself. The dresses are comfy, modest and lush to look at. The phone case patterns are equally as beautiful and eye-popping. The purse, I felt was a little on the small side, especially for a mother who needs to dump about ten zillion things into her bag for her baby, but on the chance that I am baby free, this little arm candy fits right in! Knowing more about Fatma and her designs from the chat we had, I definitely appreciate her designs a lot more, and I know that these designs appeal to so many even without the explanations. The winner must be living in the UAE and have a UAE postcode that the prize can be posted to. All photographs in this post are the property of FMM, and have been used by the owner’s permission.